Call Today (715) 634 - 4616 ! Stop in and see Dave at 15380 W. County Road B in Hayward, WI. or call 715-634-4616. 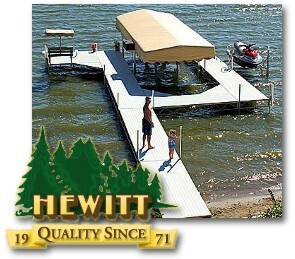 Hewitt Roll-a-Docks and Sectional Docks are simply the fastest, easiest way to get full enjoyment out of your waterfront property. Hewitt offers Aluminum frame docks with Aluminum , Cedar or Vinyl decking. 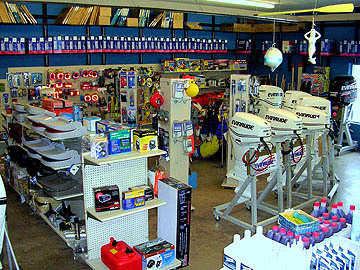 See the complete line of Hewitt Docks at Dave's Outboard Motors. We have a Dock to Fit your needs. Available at Dave's Outboard Motors ! 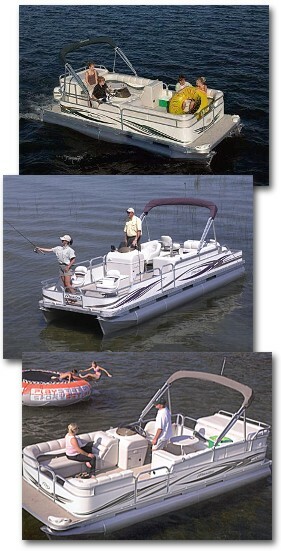 Manitou Pontoon Boats 16 ft to 26 ft. Step aboard a Manitou and experience pontoon enjoyment. A spacious and comfortable interior design provides plenty of room for entertaining. Large easy access storage in the seats lets you stash things out of the way. Manitou offers elegant Family Cruising, Sking, or Fishing models fully equipped for your Boating Convenience. Powered by the all New, Clean, Quiet Evinrude E-Tech. Discover just how Versatile and Rewarding owning an Oasis can be. TRY ONE ON AT DAVE'S ! Welcome to the dawn of a New Era in outboard engine Technology. The radical new Evinrude E-Tec outboard leaves Old-Fashioned outboards in its wake. Evinrude E-Tec is designed Stronger and more Dependable yet Lighter, Faster, and more Compact. 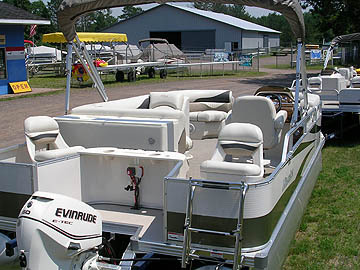 Evinrude E-Tec a whole New Kind of Outboard that runs Cleaner, Quieter and very Fuel Efficient. Whether you like Fishing, Water Skiing, Trolling or Touring. However you relax on your boat, We can make the experience even Better. Learn more about the New Evinrude E-Tec at Dave's Outboard Motors. 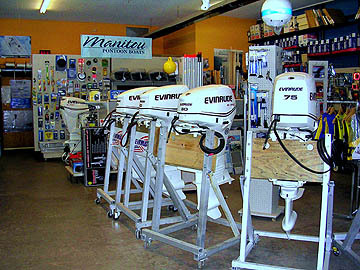 Dave�s Outboards your Factory Authorized Evinrude Dealer. for all your Service needs. See Dave's selection of quality Pre-owned outboard motors & boats. 6 H.P., 9.9 15 & 25 H.P. are commonly available. Call for current selection and pricing. �Dave's Outboard Motors & Complete Computer Solutions, Inc.